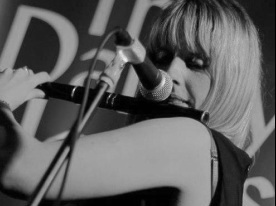 Vocals, Flute, Whistle, Banjo, Harp and Guitar : Joanne is from Belfast and is a prolific musician whose boundless energy also sees her pursuing a solo song writing career. As well as her involvement with the Dandy Horses, she is also a dedicated music teacher. Joanne is a dynamo whose singing and flute playing regularly blow the audience away. 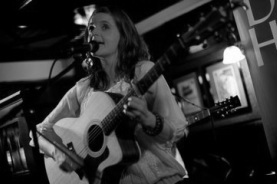 Vocals, Fiddle, Banjo and Guitar : Noeleen is from Derry and has played in several bands over the years. She has performed in countries all over the world, from the USA to China. Her evocative vocals, musicality and professionalism are only matched by her gift for finding the perfect arrangement for the band's music. Percussion and Drums : Marty has been playing drums since his teenage years. Self-taught and Inspired by Keith Moon and his 'bag of tricks' (variety of percussion) he has toured Europe and recorded with bands such as The Vals and Monkeeman. Both bands have received critical acclaim. 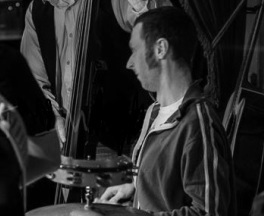 Marty is renowned for his creative, unique drumming style and engaging performances. 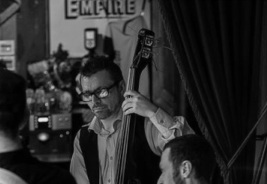 Double bass: Rodney McKinney has played bass professionally for many years in both original and covers bands. Recently he has swapped his electric bass for an upright bass. Rodney has been praised for his rhythmic consistency and ability to create great bass lines. His steady, easy-going approach and technical knowledge have proved invaluable to the band. 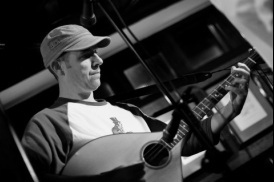 Mandolin, Bouzouki, Banjo and Vocals : Sean is from Belfast and is a talented, self taught musician. He is also the band's engine room. Whether it is the driving rhythms on his instruments or his driving enthusiasm propelling the band forward, Sean is a constant source of creative ideas.